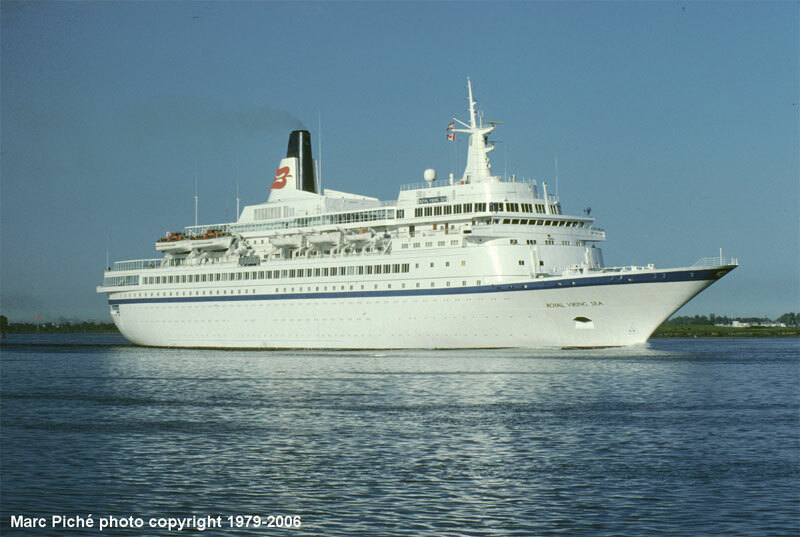 November 16th 1973: Delivered to Viking Line, Oslo, Norway. 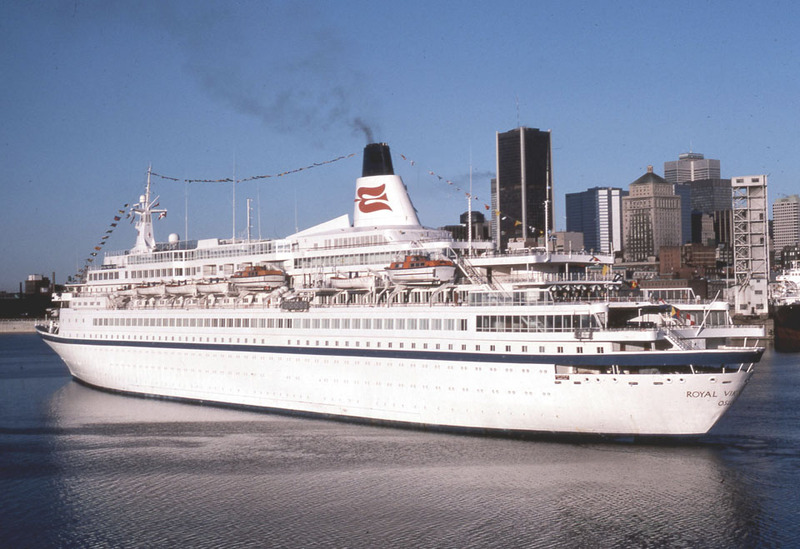 November 25th 1973: Maiden voyage Bergen – Newcastle. December 11th 1979: World cruising. March 11th 1983: Arrived at Bremerhaven for lengthening, by insertion of 27.7m prefabricated section, at AG “Weser” Seebeckwerft. November 29th 1983: Rescued 151 survivors from Indian ferry DOFO adrift 11 days off Celebes. May 1984: Agreement in principle for sale to US investor group did not proceed. 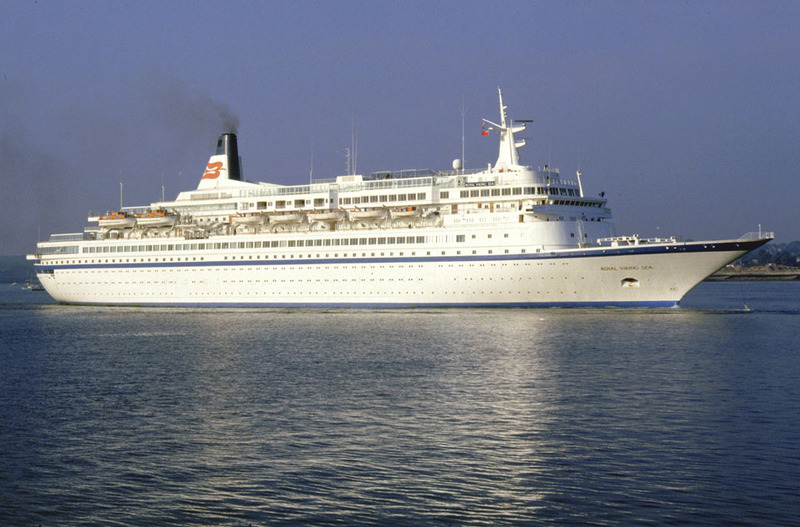 August 1984: To Norwegian Caribbean Line A/S, Oslo, but continued under Royal Caribbean Viking Line management. 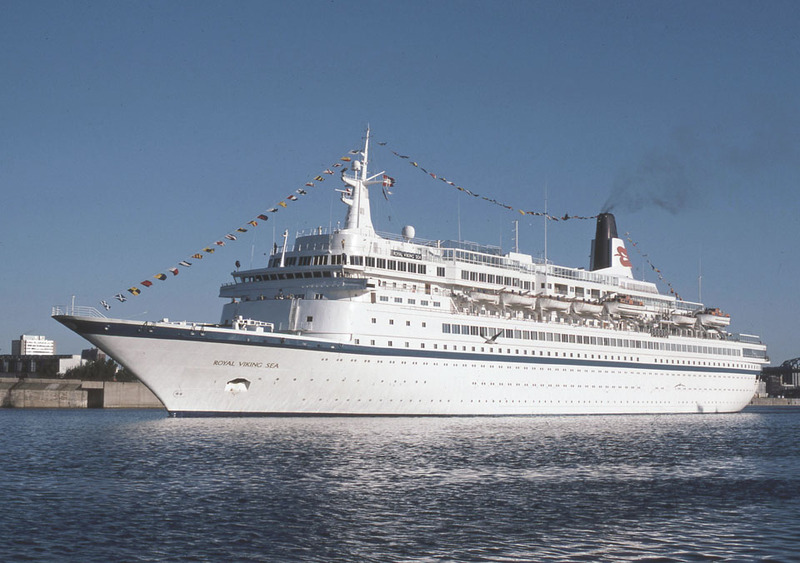 1987: Registered under ownership of Nassau, Bahamas. 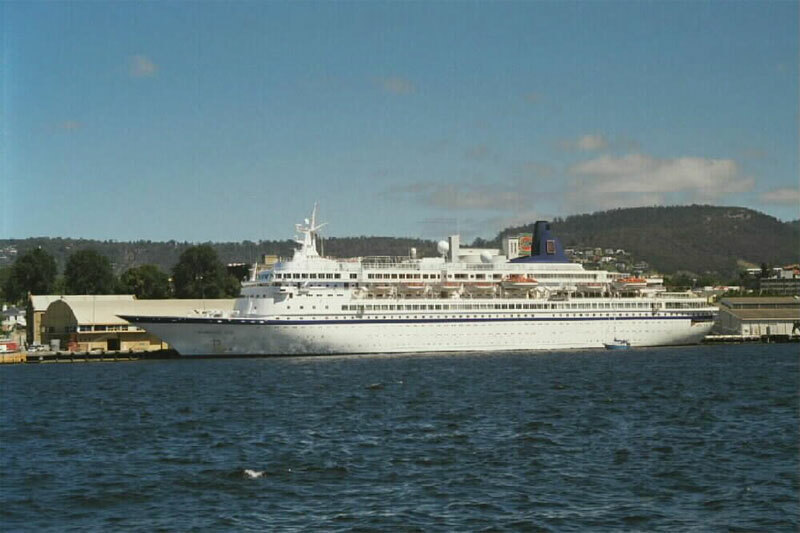 1991: Renamed ROYAL ODYSSEY. 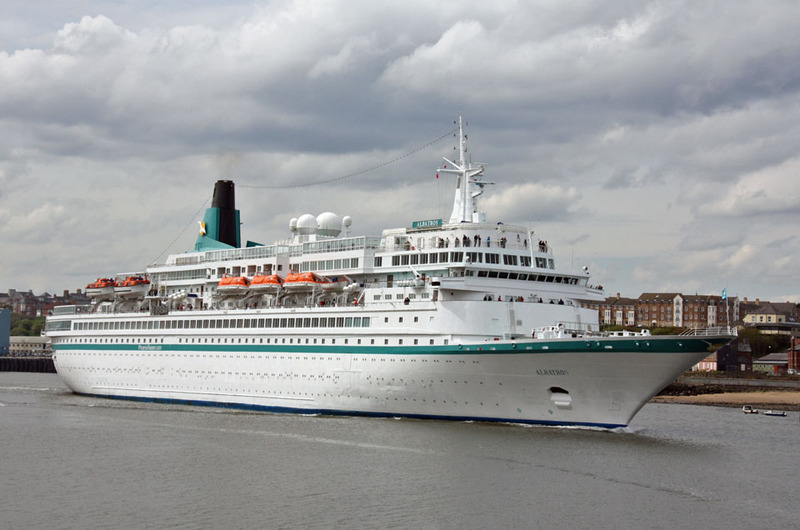 Owned by Royal Cruise Line. May 2nd 1996: Suffered engine problems and was repaired in San Francisco. May 27th 1996: Returned to service. 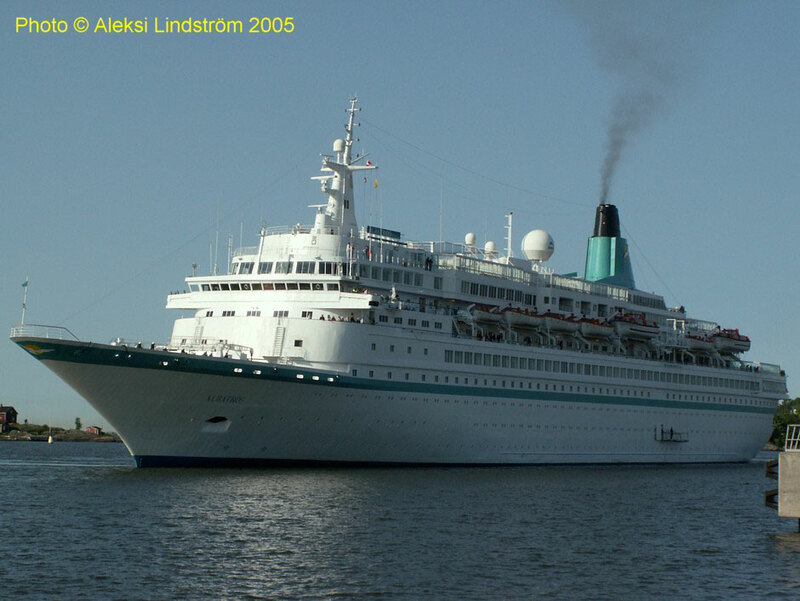 July 17th 1996: Suffered engine problems and as results a 2 week cruise was cancelled. Repaired in Vancouver. 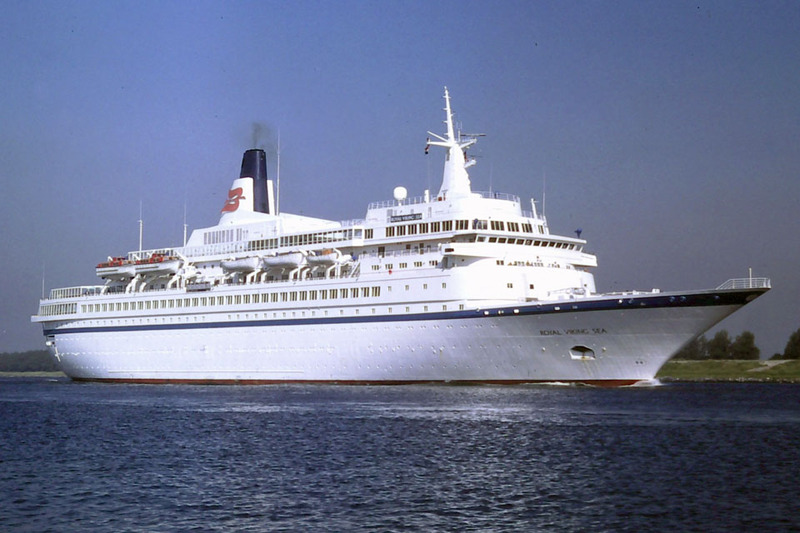 August 1996: Returned to service. .
April 1997: 350 suffered from food poisoning. 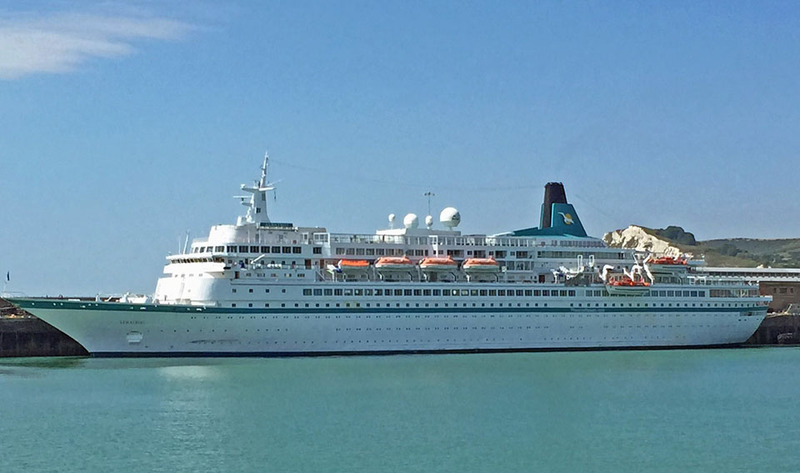 All her cruises were suspended. 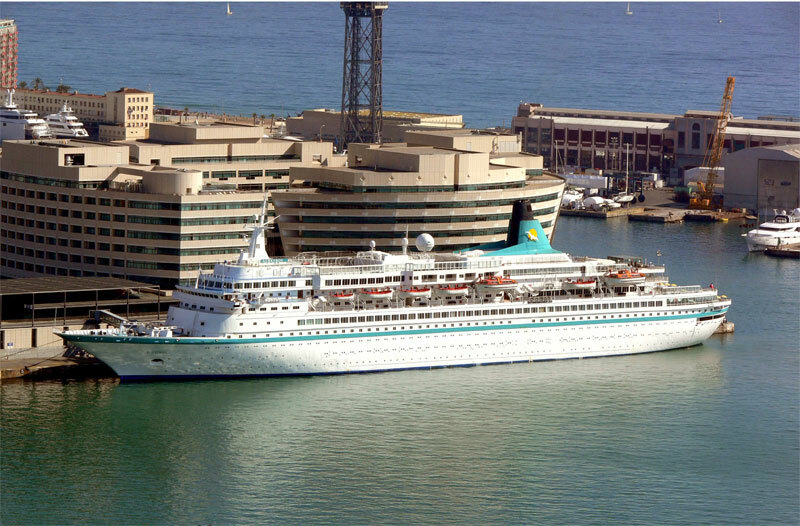 November 1997 – December 1998: Chartered to Norwegian Cruise Lines, cruising from Houston, Texas. 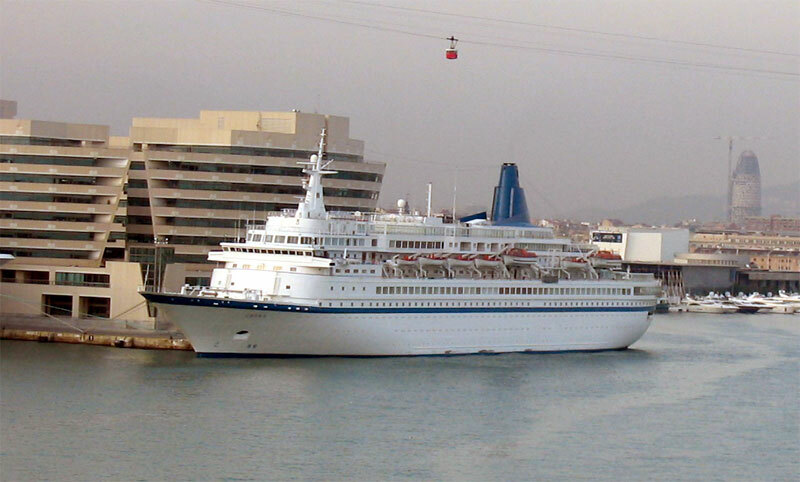 January 1999 – June 2001: Cruising for Norwegian Capricorn Line. 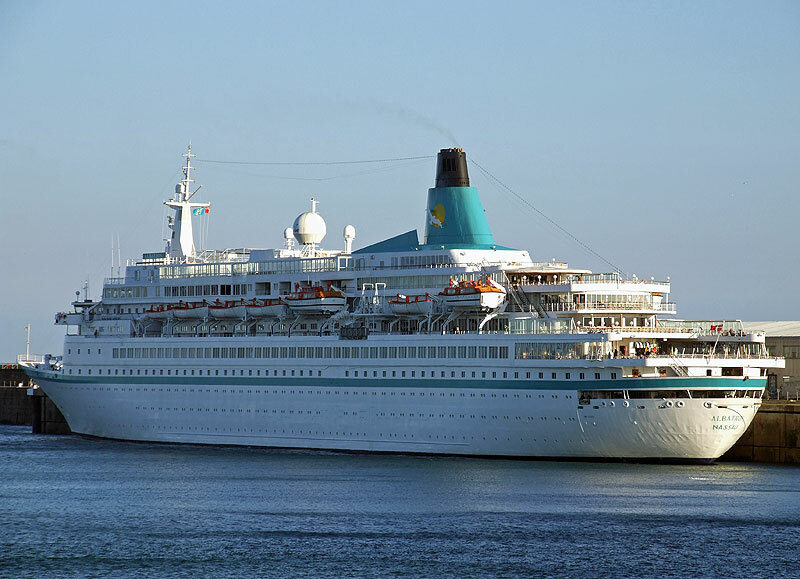 October 2001: Returned to Actinor Cruise and all connections with Capricorn Holidays terminated. 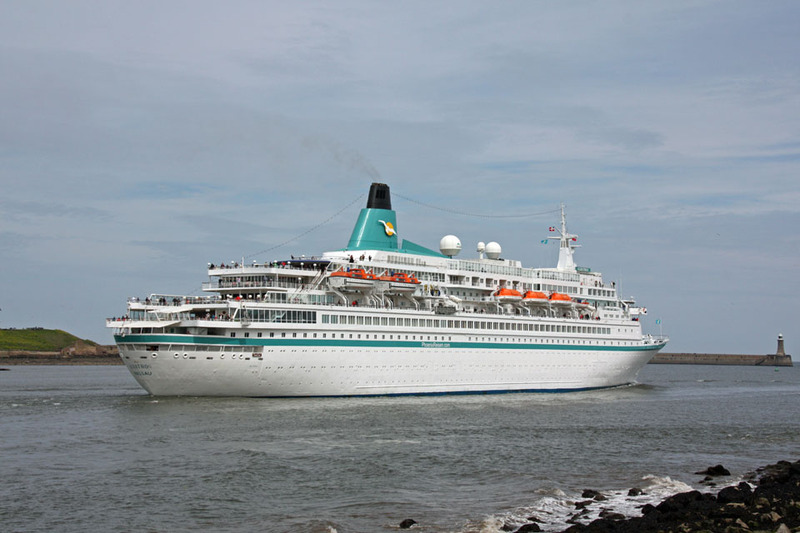 November 2001: Renamed NORWEGIAN STAR I. May 24th 2002: Charter completed. June 2002: Chartered to Crown Investments and renamed CROWN. Commenced casino cruising from Shanghai to Cheju Island. November 2002: Arrested in Shanghai, China owing to unpaid bills by Crown Investments. February 2003: Guarantee from owners wiped out debts. June 2003: Cruising in the Mediterranean. 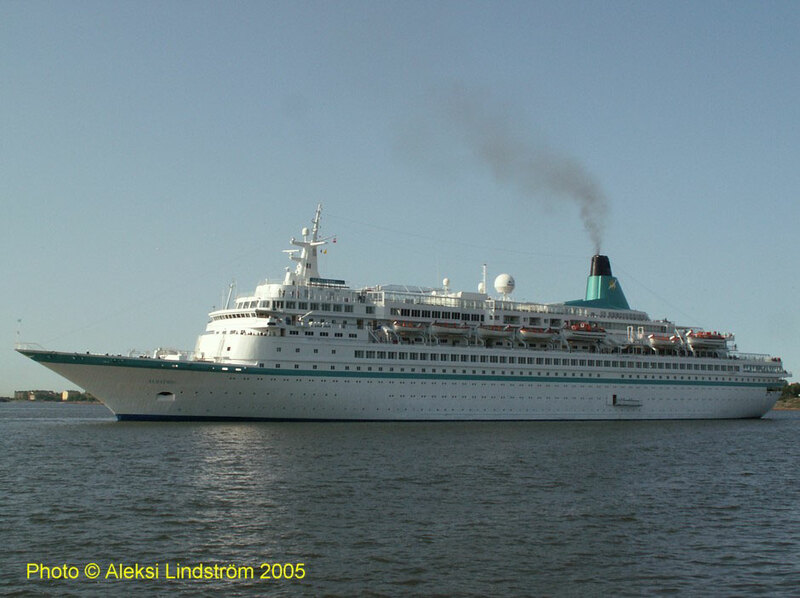 January 2004: Chartered to Phoenix Reisen, Germany and renamed ALBATROS. 2007: Remains on charter to Phoenix Reisen, Germany. Registered Owner Albatros Shipping Limited, Nassau, Bahamas. All information is believed to be correct and no responsibility is accepted for any errors or omissions found. All items included in this article are subject to © copyright. We would like to take this opportunity of thanking: Brian Fisher, Chris Howell, Aleksi Lindstrom, Ken Lubi, Marc Piché, Carlos Poveda (Visual Ships), Nigel Scutt, Simonwp, Glen Towler and Urbain Ureel for their assistance in compiling this feature.